It was in the late 1970s that I recall first meeting Dr John Lee at a conference of the International Society for Fluoride Research in the USA. We were introduced to each other by Dr George Waldbott, founder of the ISFR. The gentle and soft spoken nature of Dr Lee would attract anyone, no matter who they were or where they were from. Dr Lee was a strong pillar of the ISFR, and we had a wonderful professional working relationship. On various occasions he directed some of his patients suspected of fluoride poisoning to contact our laboratory in India to have sialic acid (SA)/glycosaminoglycan (GAG) tests run for fluorosis diagnosis. The patients sent us their lyophilized urine and serum samples. Many patients in the US who were having health problems possibly due to drinking fluoridated water sought this assistance. Those who reached us through the Internet we directed to Dr Lee in California, since it is important for a physician to see and talk to patients in person. We also guided osteoporosis patients in India to Dr Lee for consultations regarding his use of transdermal application of natural progesterone, which proved to be a great relief to such patients. After 25 years of wonderful professional association, it was very painful to learn that Dr John Lee passed away due to heart failure on October 17, 2003. The news of his death left me feeling thoroughly helpless. To many, his death was the end of an era! Dr Lee had a distinguished career. He was born November 27, 1929, in Watertown, Minnesota. After earning his undergraduate degree in mathematics at Harvard, he received his medical training at the University of Minnesota Medical School. He then completed a rotating internship (now called residency) at Minneapolis General Hospital, following which he spent a good portion of a year in practice and then two years in the US Navy as a medical officer. In 1959 he opened his own general medical practice in Mill Valley, California. For 15 years he also taught a very popular course on optimal health guidelines at the College of Marin County not far from his home. Because he was conscientious and well-trained, Dr. Lee was deeply committed to his patients. He was very good in explaining medical complications, drug action, and effects of birth control pills. He became the editor of the monthly county medical journal. In the 1970s he served on a local Marin County study panel to evaluate water fluoridation. 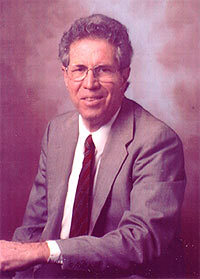 His analysis of foods and beverages for the panel revealed that the children were already ingesting more fluoride than was recommended from fluoridated water.1 In 1978 he collaborated with Dr Waldbott in presenting an account of industrial poisoning from repeated exposure to hydrogen fluoride.2 Five years later he published a seminal report on individuals with Gilbert's liver disease showing a direct connection with fluoridated water.3 During these years he attained a clear understanding of adverse health effects of fluoride, fluoride action on bone, and the whole range of attendant medical complications. He has brought out certain classical publications on the fluoride front. He also became averse to treating osteoporosis with fluoride, as he saw how treatment with fluoride can actually cause further complications such as bone fracture. To most of our readers, Dr Lee is probably best known for his keen understanding of how fluoride causes bone disorders, especially in relation to osteoporosis, as he explained in his 1990 editorial in Fluoride.4 In the next decade he made numerous contributions to this important subject. During these years he discovered in his practice that transdermal administration of natural progesterone was a safe and very effective remedy to reverse postmenopausal bone loss, in contrast to conventional estrogen-based hormone replacement therapy, which only retards bone loss. This work and his subsequent publications in this area brought him many invitations worldwide to speak on these and various other aspects of women's health issues (http://www.johnleemd.com/meetdrjohnlee.html). During these years, women with menstrual bloating, water retention, and emotional problems told Dr Lee that their previous doctors had treated them with progesterone shots. The era of natural progesterone had been short lived and had come and gone before Dr Lee's time, when it was overshadowed by the flood of synthetic hormones. The advantage of natural progesterone has again become evident, and its clinical use is growing due to an interesting synchronicity of several factors. Osteoporosis is the major disabling disease of women in the US, and its treatment by estrogen hormone replacement therapy (HRT) is less than satisfactory. Moreover, estrogen imposes a risk of endometrial cancer that is largely preventable by progesterone and its analogues. Natural progesterone is efficiently absorbed transdermally, which enhances patients' acceptance of its use and reduces the cost of therapy. In 1980 when his 40-year-old housewife patients had become 60-year-olds suffering from post-menopausal osteoporosis, he at first prescribed the transdermal regime of natural progesterone (then being sold as a skin moisturizer) only to those women for whom estrogen was contraindicated. To his great astonishment, he found that several bone mineral density tests showed a significant improvement without any side effects. With such obvious success, he extended his recommendation of natural progesterone to osteoporosis patients who were not doing well on estrogen therapy alone. Again the transdermal treatment proved successful. Research has shown that progesterone is the major precursor of cortisone synthesis by the adrenal cortex; that estrogen unopposed by progesterone is a key factor in many symptom complexes presented daily in clinics, especially premenstrual syndrome (PMS); that fibrocystic breasts return to normal when adequate progesterone is supplied; that bones remineralize and become stronger when progesterone is added to the therapeutic program; that progesterone protects against breast cancer; that progesterone facilitates thyroid hormone activity and protects against salt and water retention and thus hypertension; that transdermal progesterone is especially helpful to overcome dry skin; and that patients feel better and enjoy better health when progesterone deficiency is corrected. Dr Lee and his contributions in the field of medical sciences became synonymous with transdermal treatment with natural progesterone and its unique ability to increase bone strength and to prevent and even reverse post-meno-pausal osteoporosis. Without fear or wavering, and recognizing the scientific implications, he constantly pointed out the harmful effects of sodium fluoride therapy and HRT as ways to treat osteoporosis. Dr. Lee was known by millions of people as the doctor who pioneered the use of transdermal progesterone cream and bio-identical hormones, and who had the courage to stand up against the medical establishment's dangerous and misguided HRT. He kept a full schedule, lecturing and teaching worldwide, and writing his best-selling books and monthly newsletters. When he died he had just returned from a training tour in Europe. Dr Lee was gratified by the thousands of women who wrote and called to tell him how dramatically their health had improved when they followed his recommendations, and by the hundreds of clinicians and researchers he corresponded with who had integrated his findings into their practices and research with great success. He was especially thankful that his analysis of the problems with conventional HRT were finally validated by the medical establishment during his lifetime. For his many friends and the members of the International Society for Fluoride Research, Dr Lee was a tower of strength. He will be remembered for all that he taught us and for the recovery of good health and happiness he gave to so many patients worldwide. He is survived by his wife Pat, whom he married in 1959 and who is actively supporting his work. He is also survived by their son John M Lee, a daughter Kristin Zeigler, and seven grandchildren. Lee JR. Optimal fluoridation, the concept and its application to municipal water fluoridation. Western J Med 1975;431:122-5. – case report. Clin Toxicol 1978;13:111-4. Lee JR. Gilbert's disease and fluoride intake. Fluoride 1983;16:139-45;245cn. Lee JR. Editorial: Fluoride and Osteoporosis. Fluoride 1990;23:51-4. Lee JR. Osteoporosis reversal with transdermal progesterone [letter]. Lancet 1990;336:1327. Lee JR. Osteoporosis reversal: the role of progesterone. Int Clin Nutr Rev 1990;10:384-91. Edition. BLL Publishing, PO Box 2068, Sebastopol, CA 95473; 1994.